Hold on to your spellbooks, girls! We are *so* stoked to let you know that Anna Cathcart (above), Jedidiah Goodacre, Zachary Gibson and Brenna D'Amico are coming back for more fun and mischief in Descendants 3! 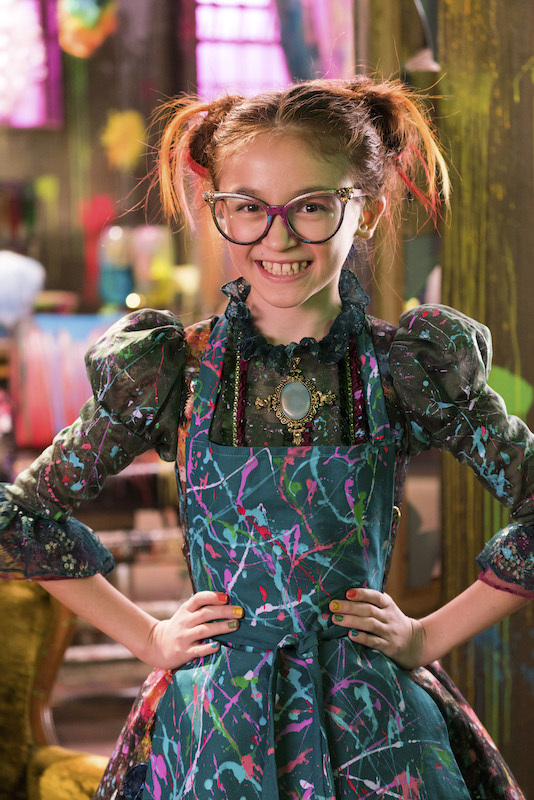 You probably remember Anna as Dizzy, the daughter of Drizella (one of Cinderella's evil stepsisters) who became a fan favorite after her first appearance in Descendants 2. Jedidiah plays Chad Charming, the son of Cinderella and Prince Charming; Brenna plays Jane, the daughter of the Fairy Godmother; Zachary plays Doug, son of Dopey (one of Snow White's Seven Dwarfs—and we've loved all three since Descendants! So far, all we know about what happens in upcoming Disney Channel Original Movie is that we're going to be introduced to a new villian: Mal's dad! The movie is set to drop summer 2019. What else do you think the VKs will get up to in D3? Share your predictions in the comments!